Not all jewelry is created equal. Over the past 75 years, we've seen estate jewelry of all sorts, and we know how to figure out its longstanding market value. Whether you're pawning a Victorian brooch or your prized watch, we'll give every piece of your collection the service it warrants. We know how to keep your jewelry shining for decades to come. When you work with us, you don't have to worry about pawning your gemstones for a meager amount of cash. Instead, we offer an upscale pawning service, in which we assess your items and provide a cash loan that reflects their true value. You'll pay this loan off little by little and, ultimately, get your possessions back upon full repayment. It's not easy to part with your diamonds, gemstones, gold, silver coins or platinum, but your treasures are safe with us. We secure our most valuable pieces at an off-site storage facility in order to avoid inventory mishandling or property damage. High-caliber watches are a common sight around here. 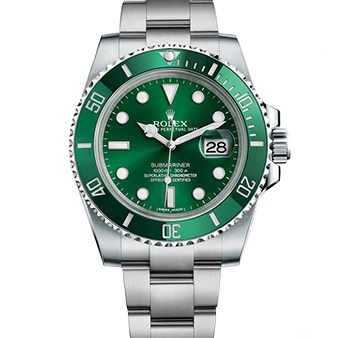 For decades, we've sold, bought, and pawned 10-,14-, and 18K watches from luxury brands like Rolex, Patek Philippe, and Cartier. When you're ready to leverage your watch's value, our pawnbrokers are at your service. We'll appraise your watch before offering you a cash loan based on its value. As with all of our loan services, pawning is not permanent and your watch will be returned to you upon repayment of the loan.